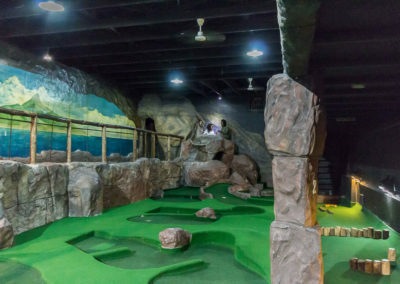 Sat, Sun, Holidays: 09:00am to 5:30pm. 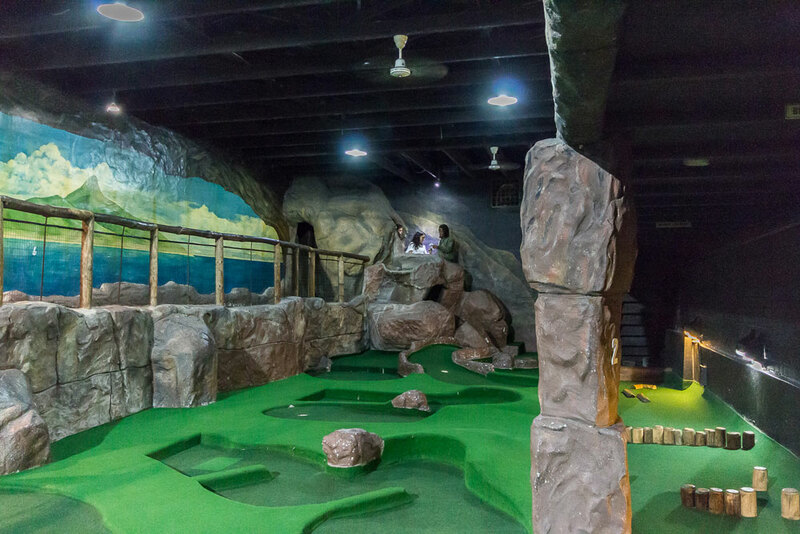 * Please note that the last round is forty-five minutes before closing time so that you can finish your round. 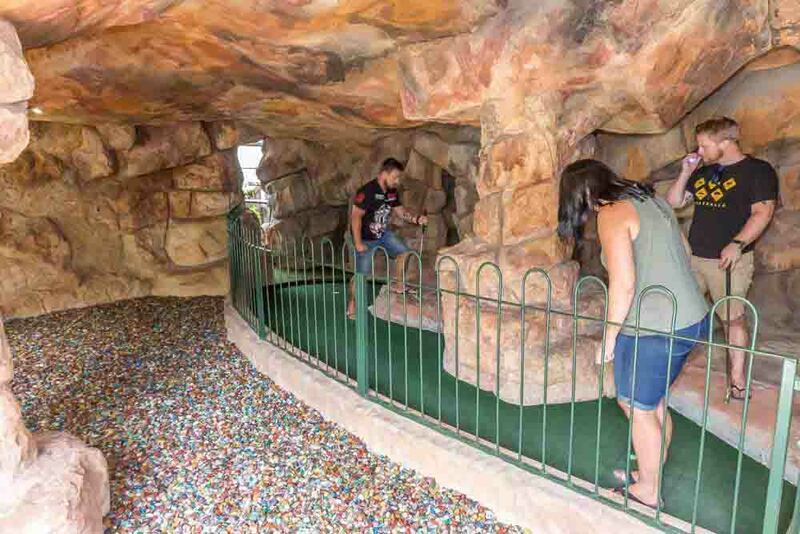 Refundable deposit: R20 per player. 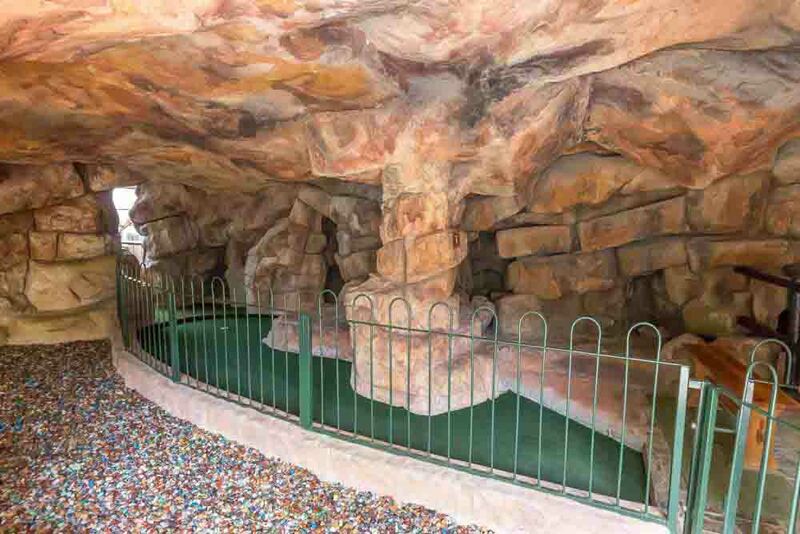 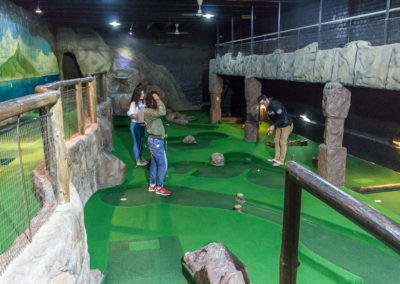 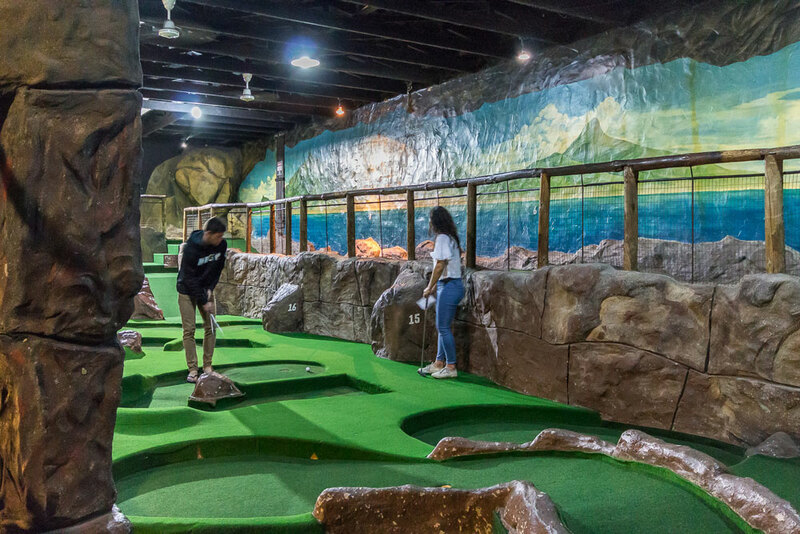 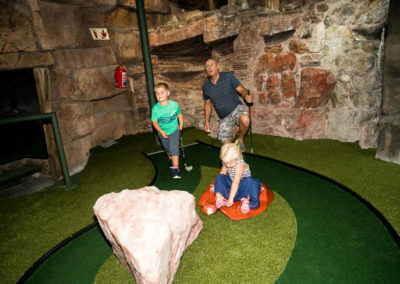 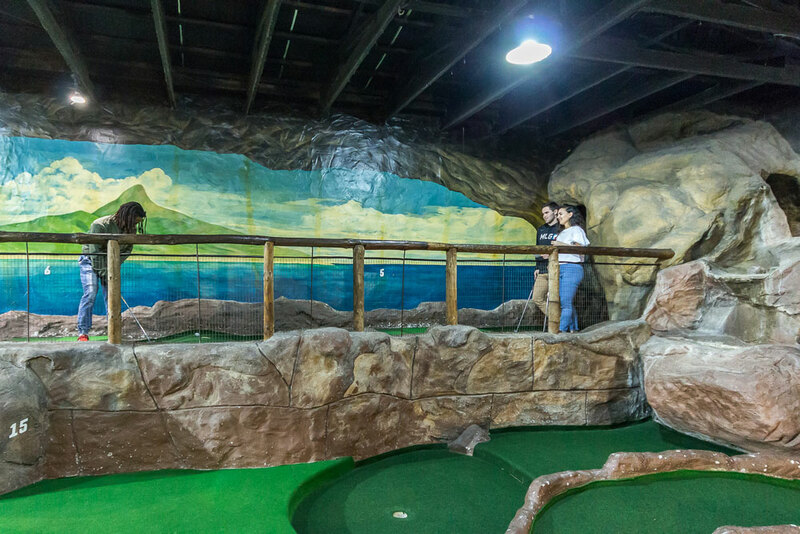 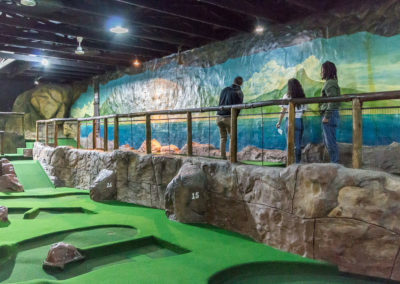 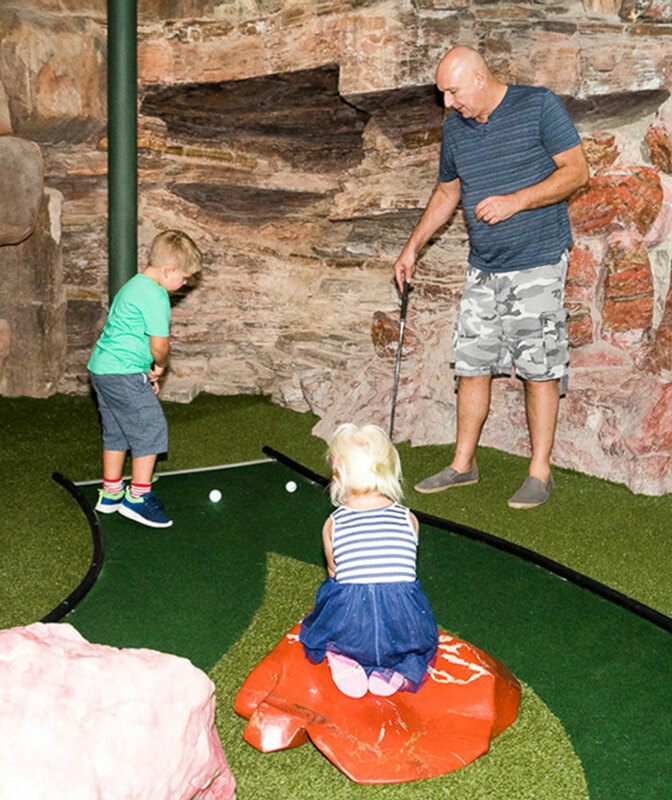 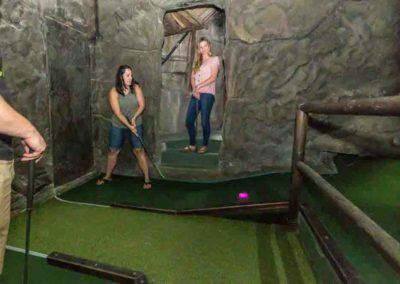 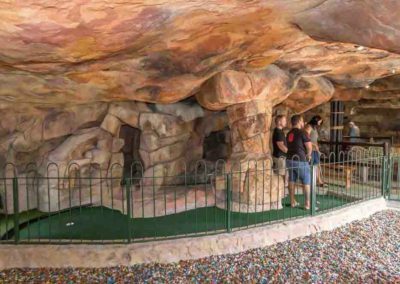 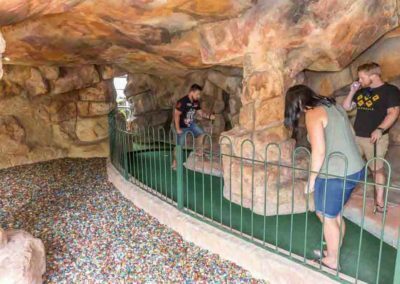 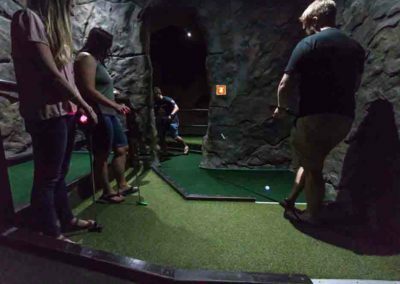 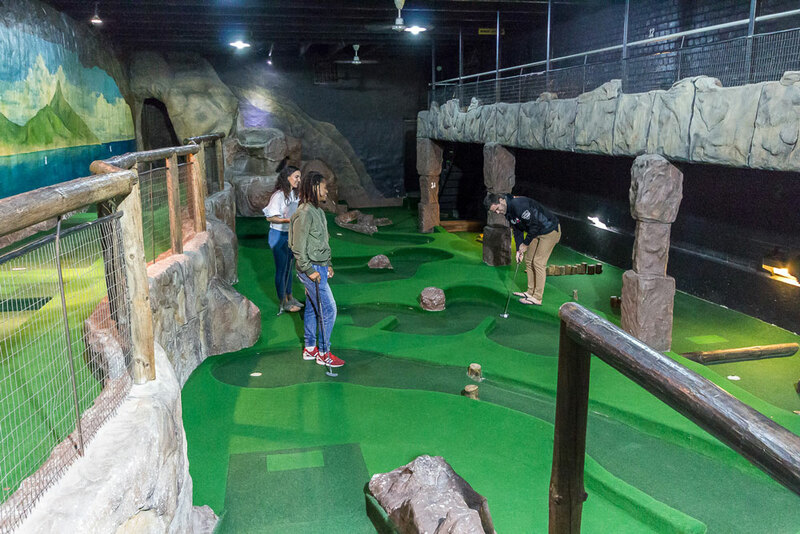 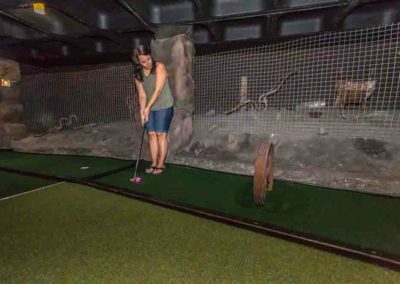 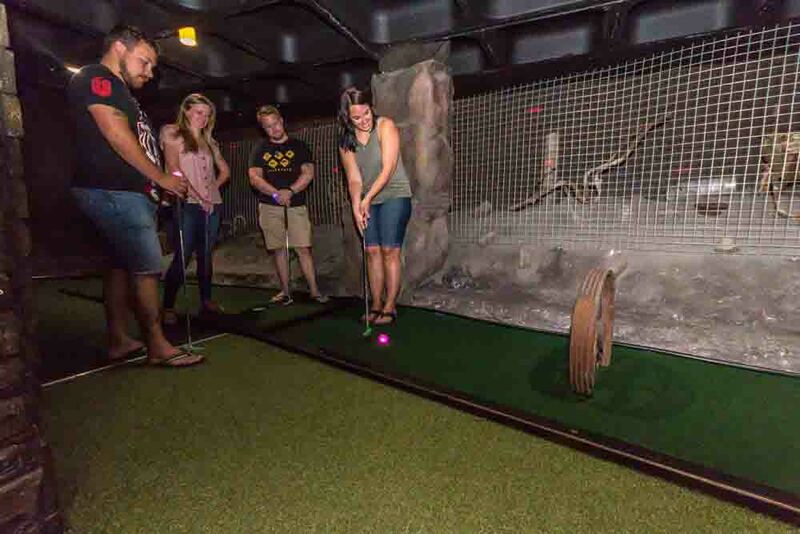 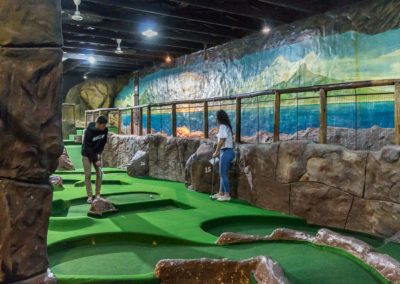 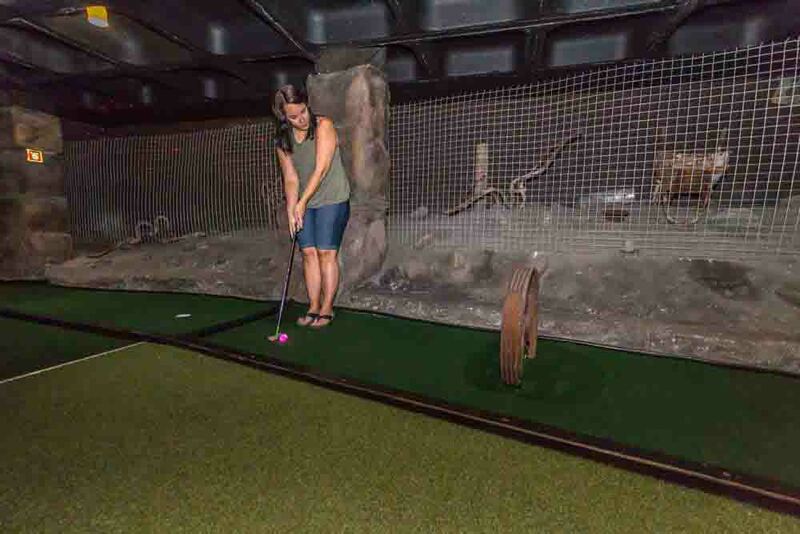 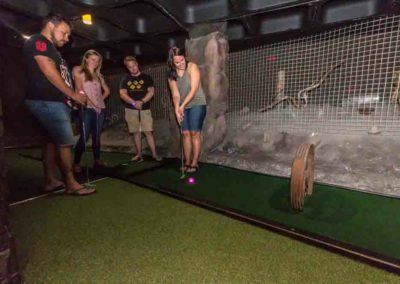 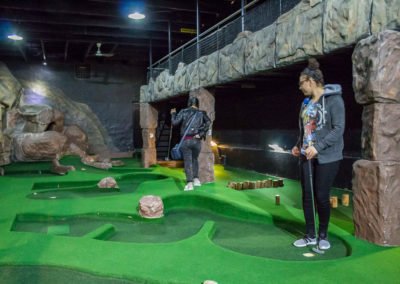 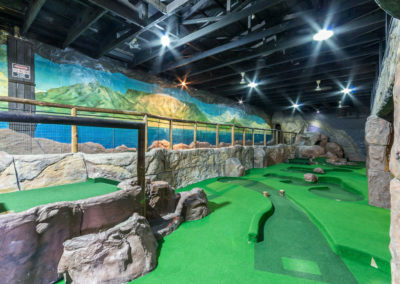 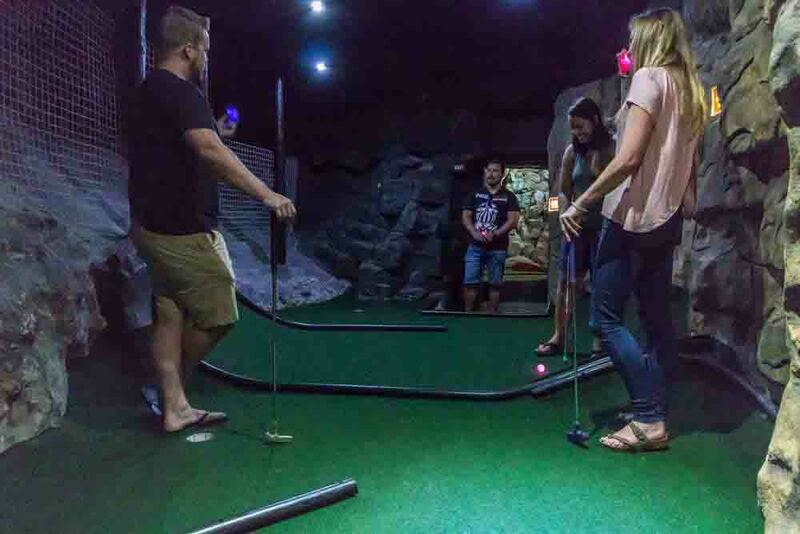 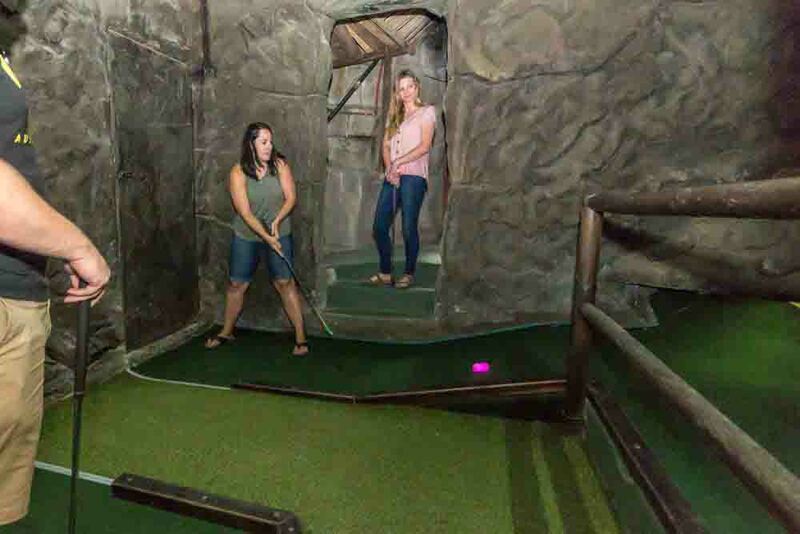 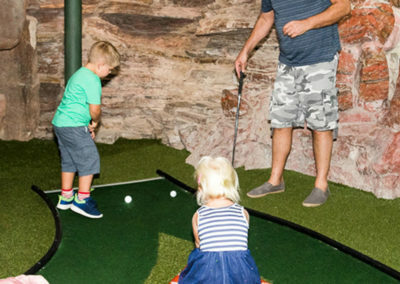 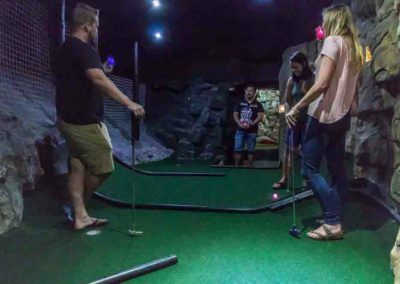 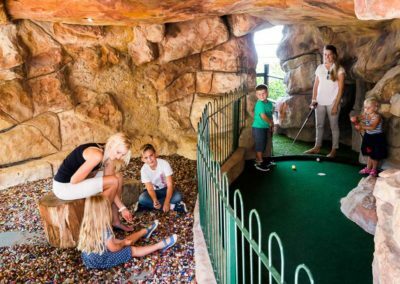 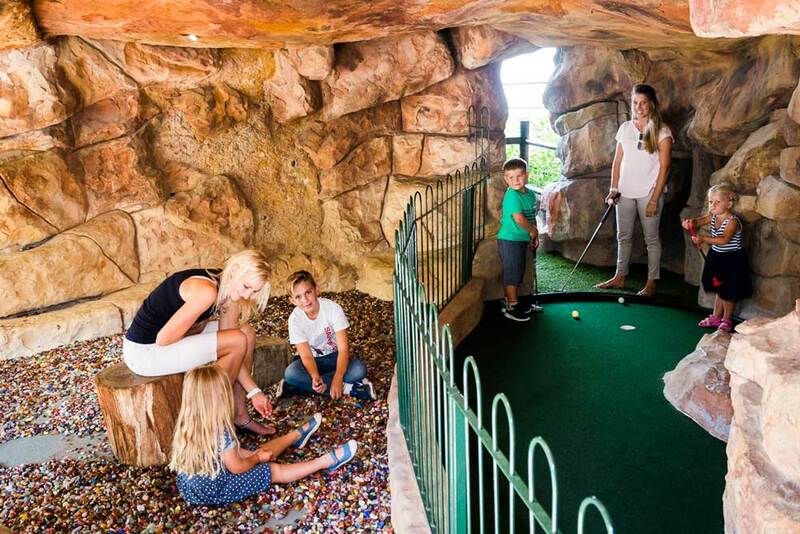 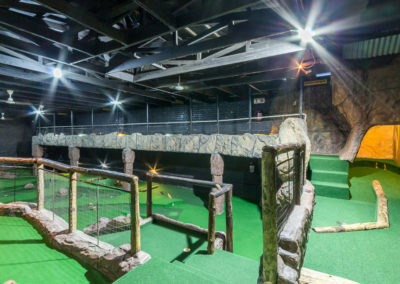 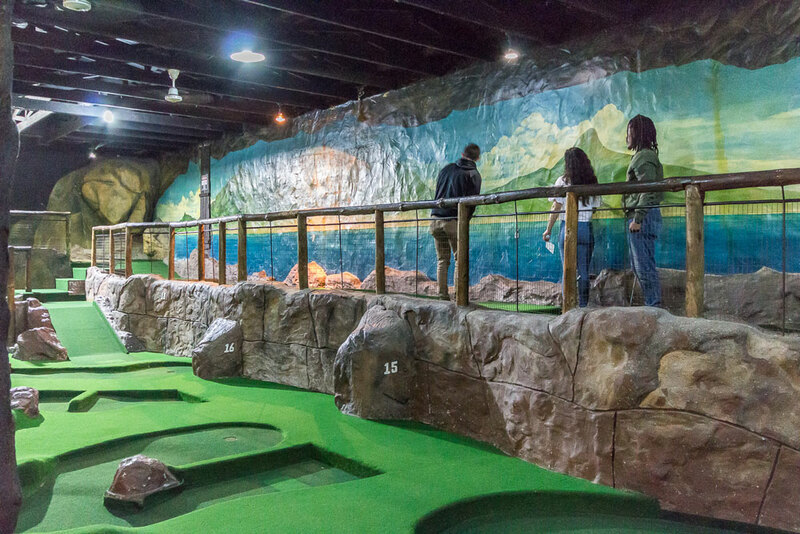 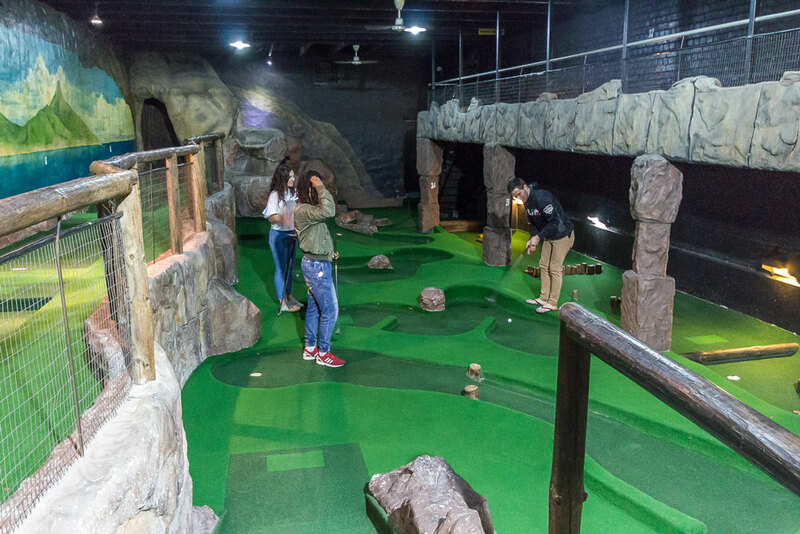 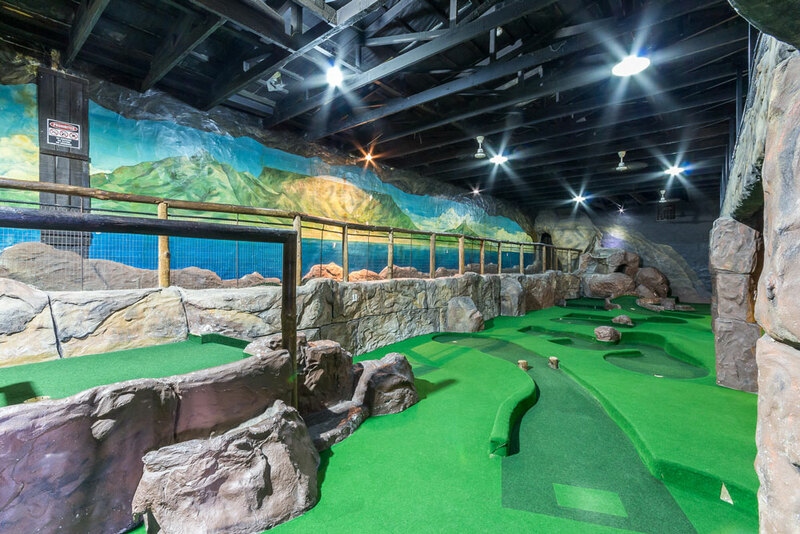 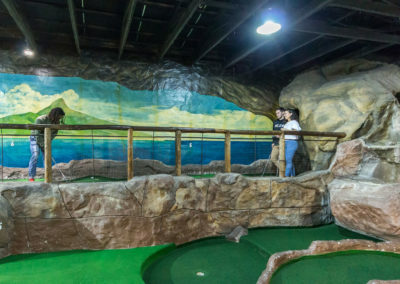 The Cave Golf course at the V&A (at the Scratch Patch, near the Aquarium) has become very popular with visitors to Cape Town’s world famous “waterfront”. 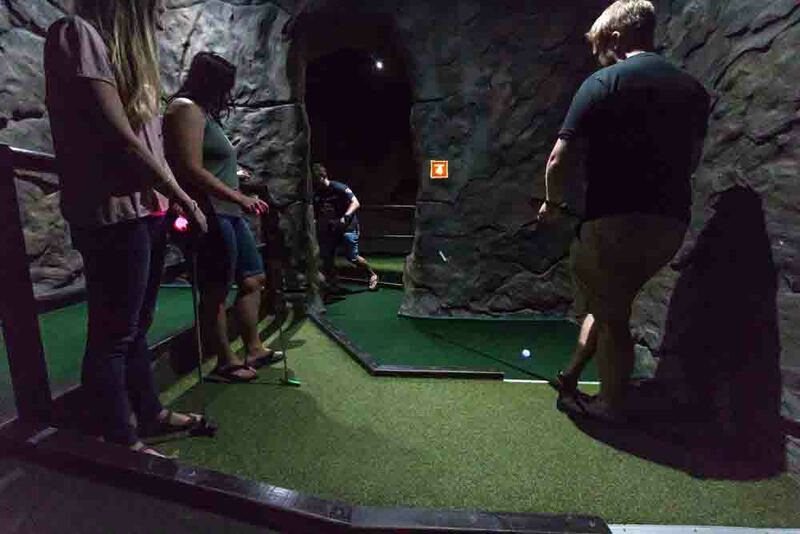 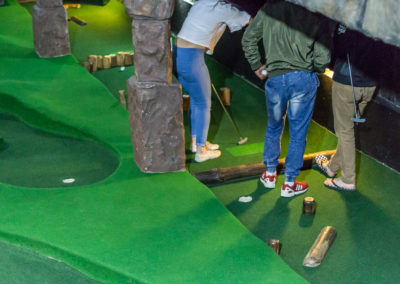 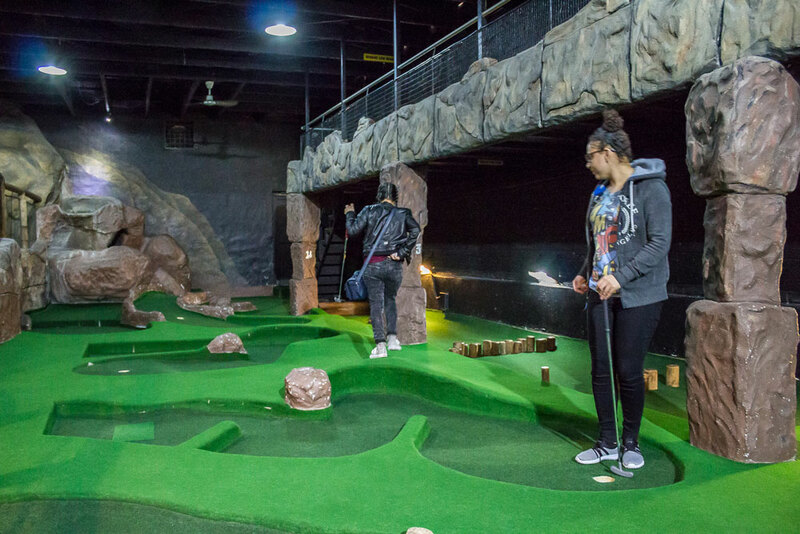 This 18-hole mini-golf layout is fun to play, and despite being relatively short and compact, it’s well-designed and challenging enough to be enjoyed even by regular golfers. 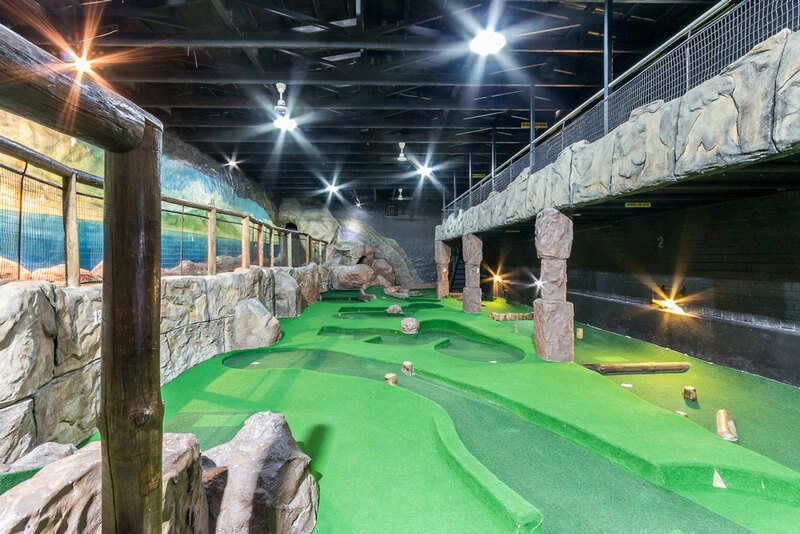 It’s also indoors, so can be played and enjoyed in any weather! 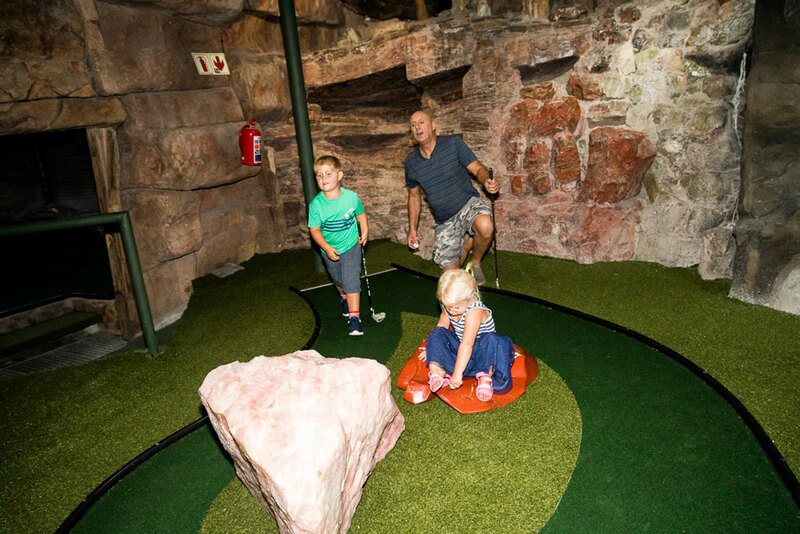 The recent Simon’s Town Cave Golf layout is longer and more spacious than its popular V&A sister-course. 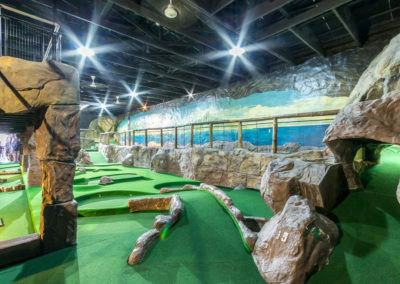 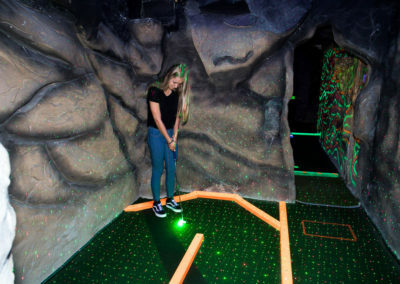 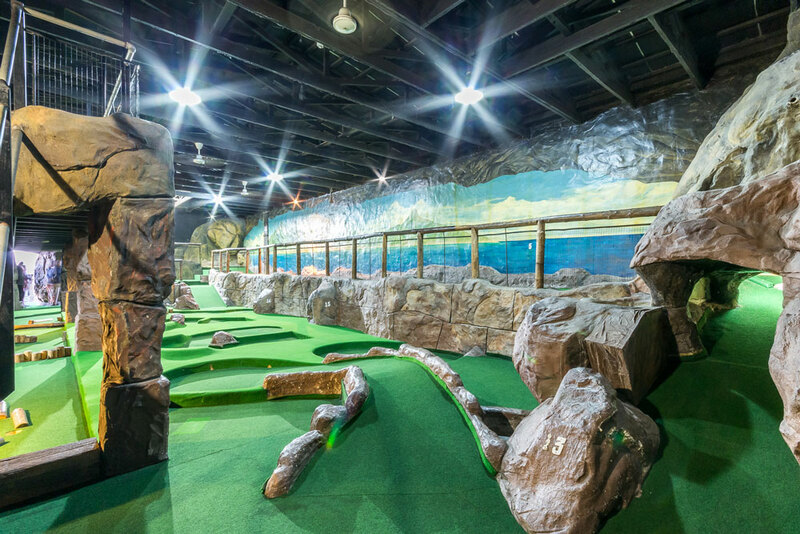 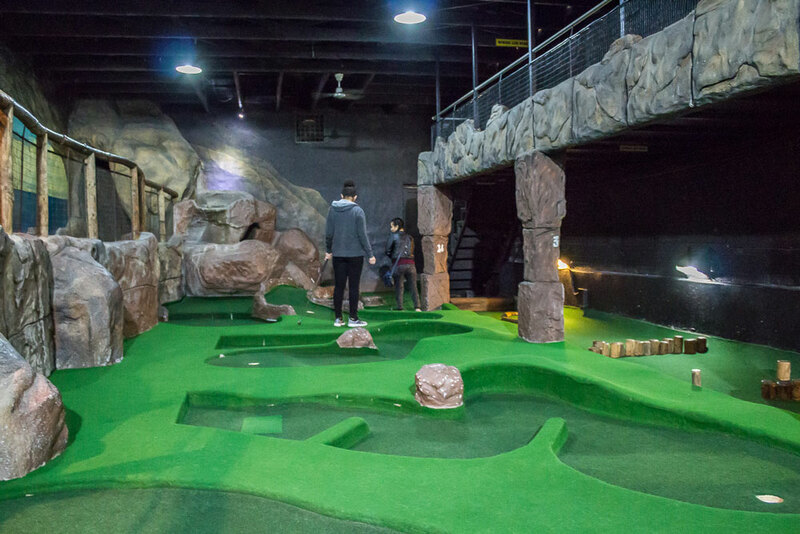 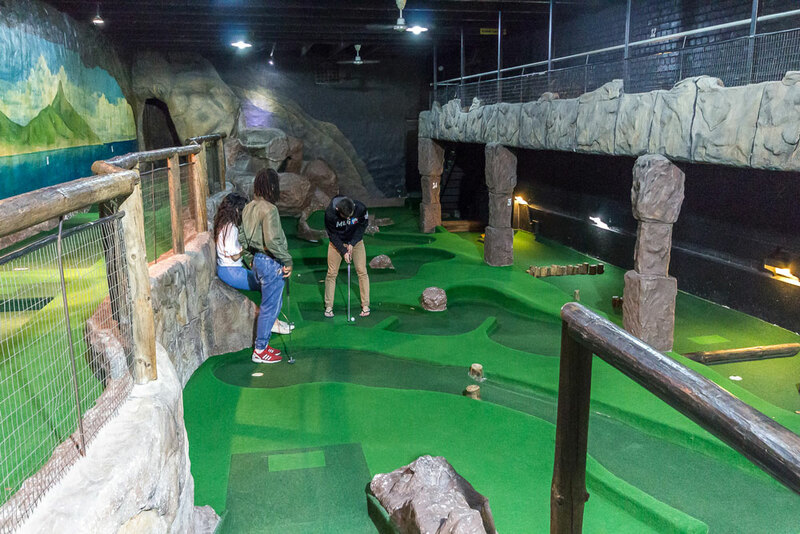 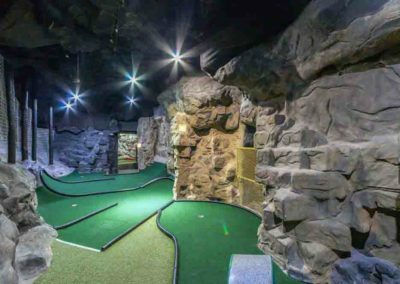 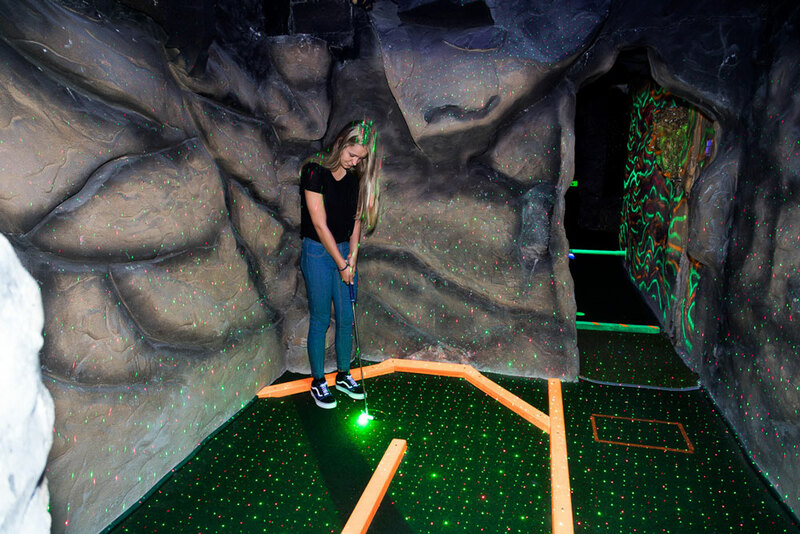 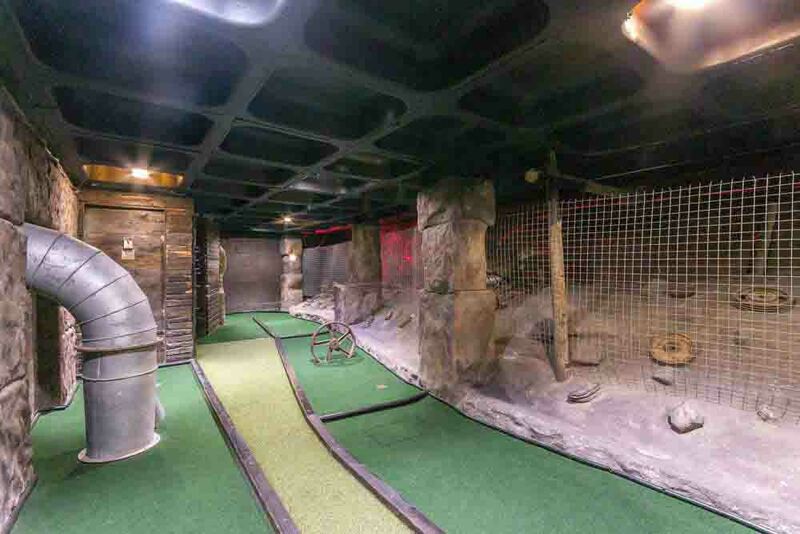 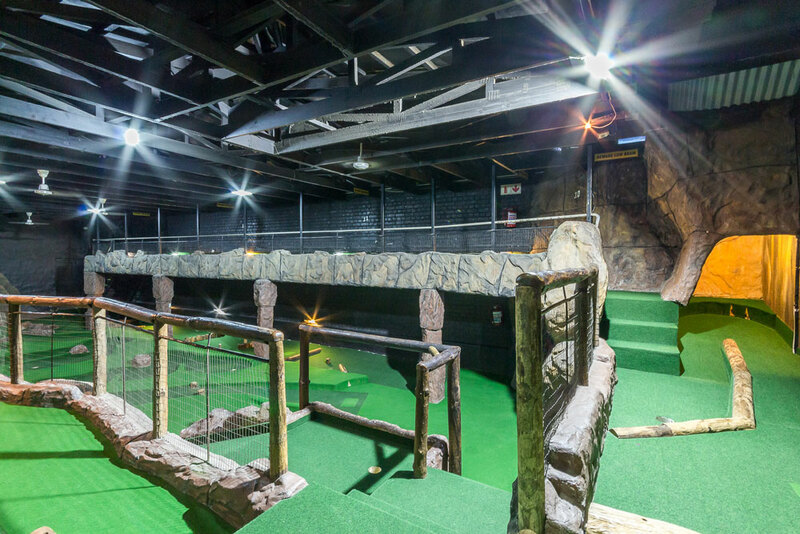 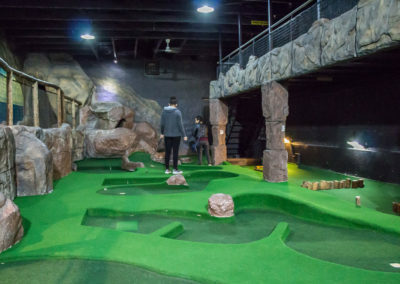 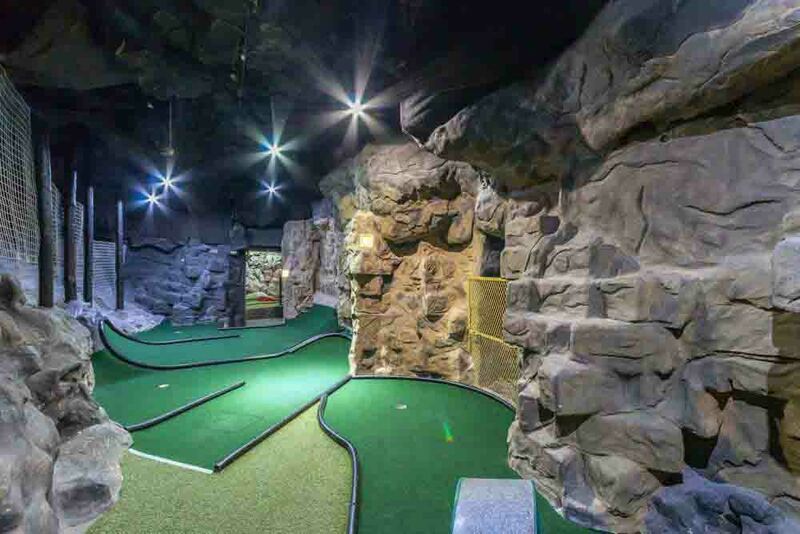 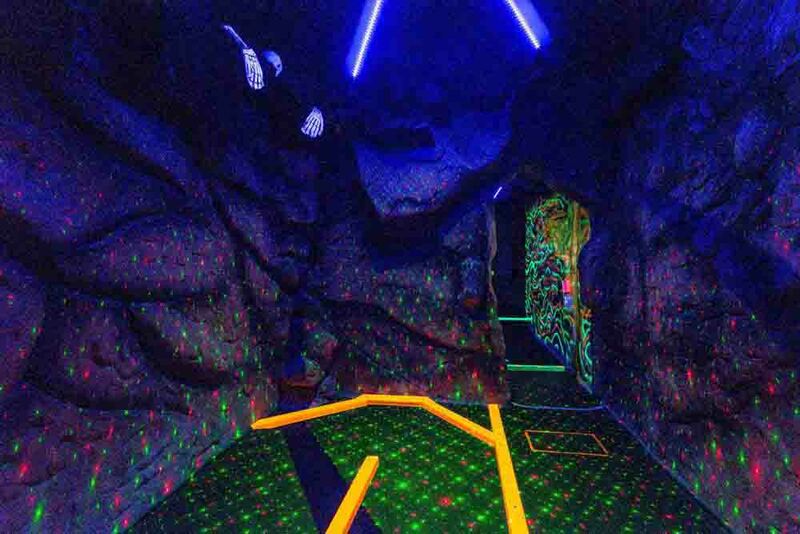 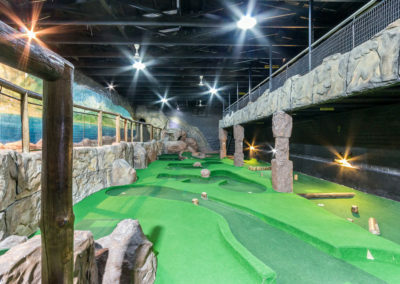 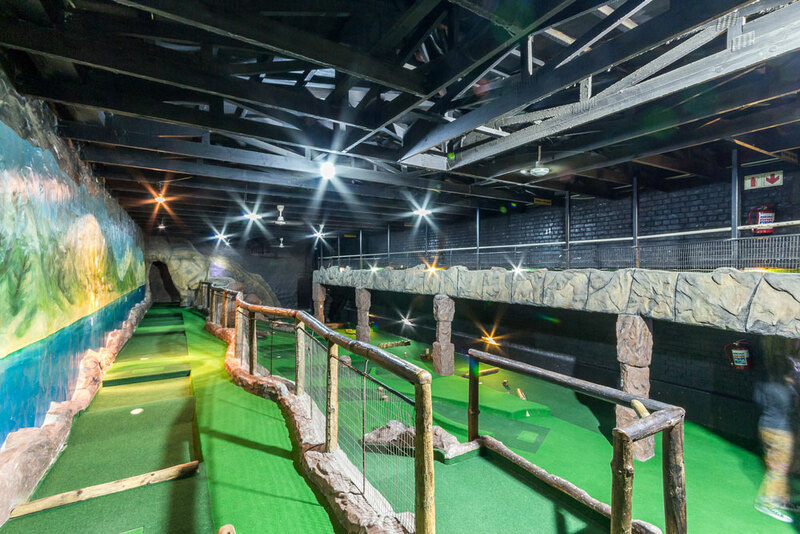 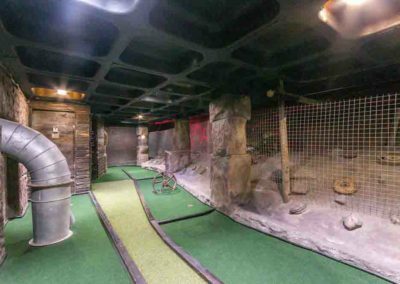 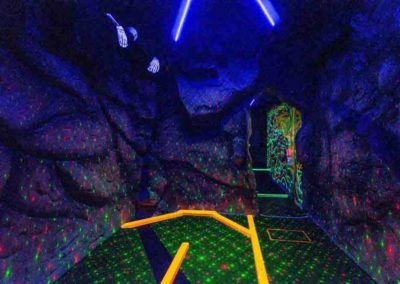 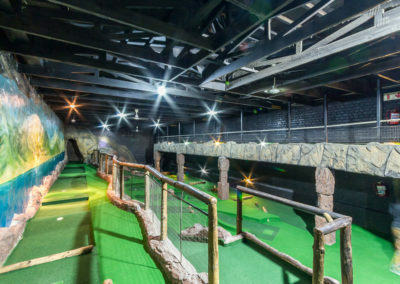 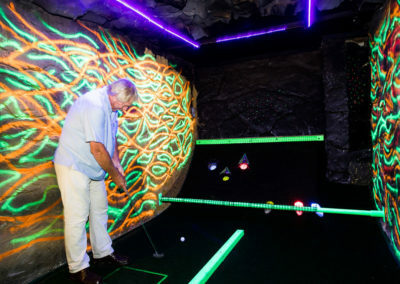 This highly-rated, fun and challenging 18-hole course meanders downwards from the back of the Scratch Patch and through a series of underground areas that feature rock walls, some highly imaginative cave and mine obstacles and ancient relics, an underground waterfall, and fabulous mineral displays that are imbedded in the surrounding rock just as they were originally discovered. 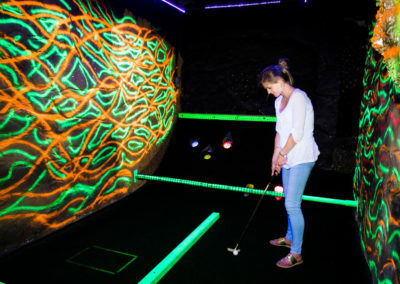 There’s even a section that is lit only by UV light, and each hole has been thoughtfully designed and constructed, and carefully finished to a very high standard. 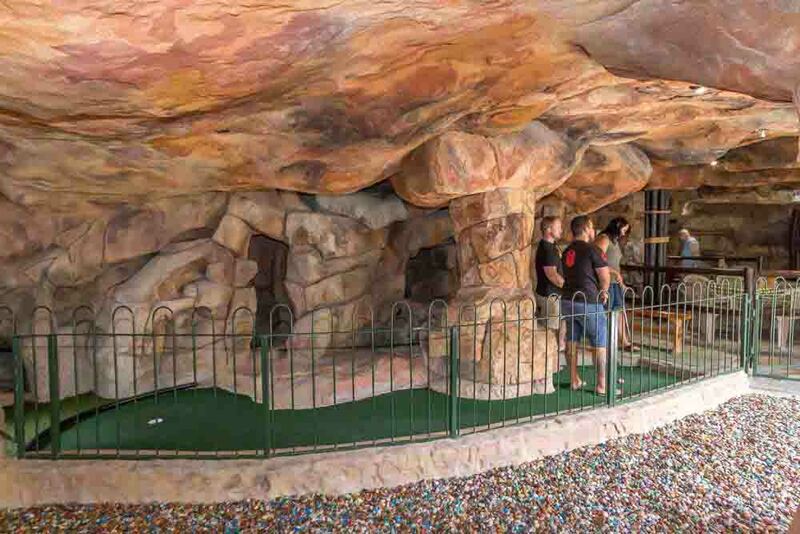 And people of all ages love it!